Heavy Duty main shaft bearing, direct drive motor (no belt). Durable custom padded ABS carrying case included. 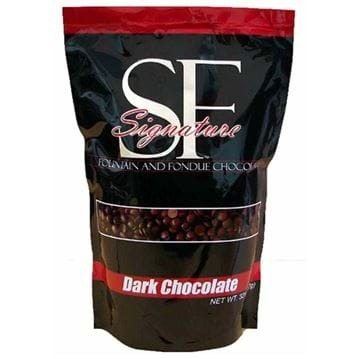 Heats chocolate to ideal temperature (approx 105-110°F). The upper tier unit and auger disassemble for easy cleaning. From large weddings to corporate events to high school proms, the 35" Chocolate Fountain will ensure you have an event to remember. 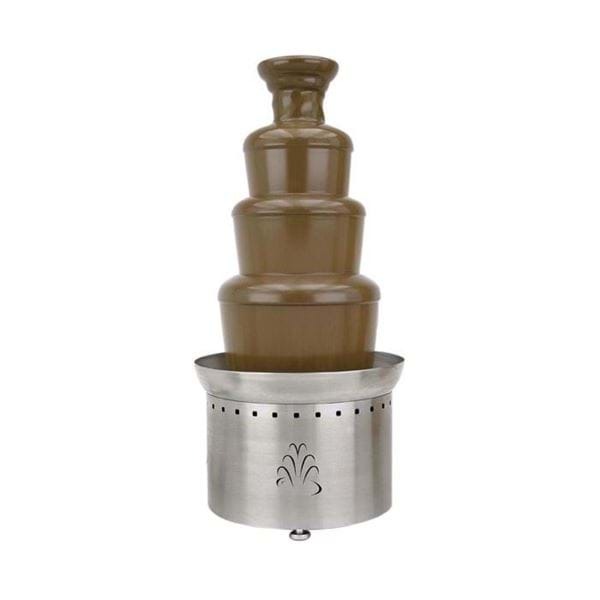 The 35" Chocolate Fountain is perfect for larger gatherings where a chocolate fountain is desired. Standing 35" tall, this food-grade stainless steel fountain is perfect for events of up to 400 guests, and has a maximum capacity of 20 pounds of chocolate. The 35" Chocolate Fountain is easy to set-up and take down. Weighing in at 84 pounds, the 35" Chocolate Fountain features a 16" base with an industrial heavy-duty high torque AC induction motor. The fountain tiers slide on and off easily, and are held in place with O-rings. 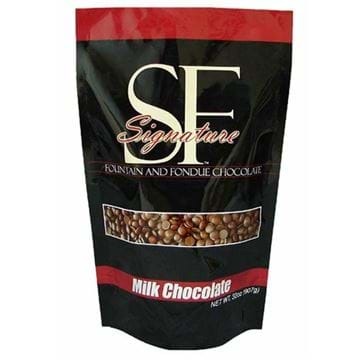 When you are finished using the chocolate fountain, you can put it away in the included hard-sided carrying cases. Remove the top cap, stainless steel auger, outer tube and tiers and place in dishwasher for cleaning and sterilization.